When you add/update companies, you automatically get suggestions whilst typing in the company name. These suggestions are provided by Google Places. When you click on a suggestion, the address, phone number and website are copied into your company details. Pro tip: When you're not getting the result you're looking for, try adding the city after the name. For instance; looking for "McDonalds" will give you probably too many results. Looking for "McDonalds Berlin" will limit those results. Some records are more complete than others. 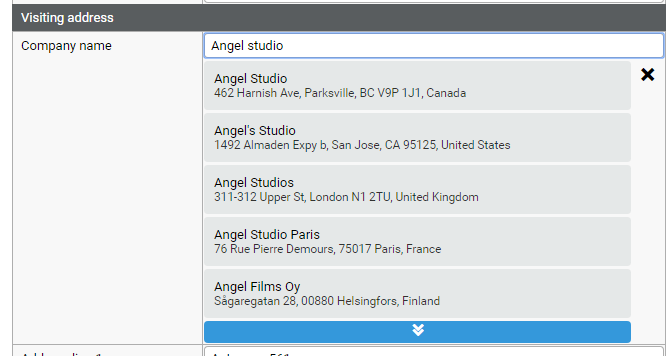 The records of businesses on Google Places are not always complete.